Independent lab tests confirm that Drymax is the #1 Sock to Keep Feet Dry. Sold as a three-pair pack. Dual Layer System - No fiber technology can both attract repel moisture at the same time. The Drymax Sweat Removal System uses 2 separate fiber technology layers to keep feet dry. Super Hydrophobic (water repelling) Drymax fibers are used on the SKINside and Super Hydrophilic (water attracting) Sensura polyester fibers are used as the absorbent outer layer. Drymax Sweat Removal System also keeps feet dryer because it is self contained. Other socks rely on the ineffectively slow process of wicking and evaporation. 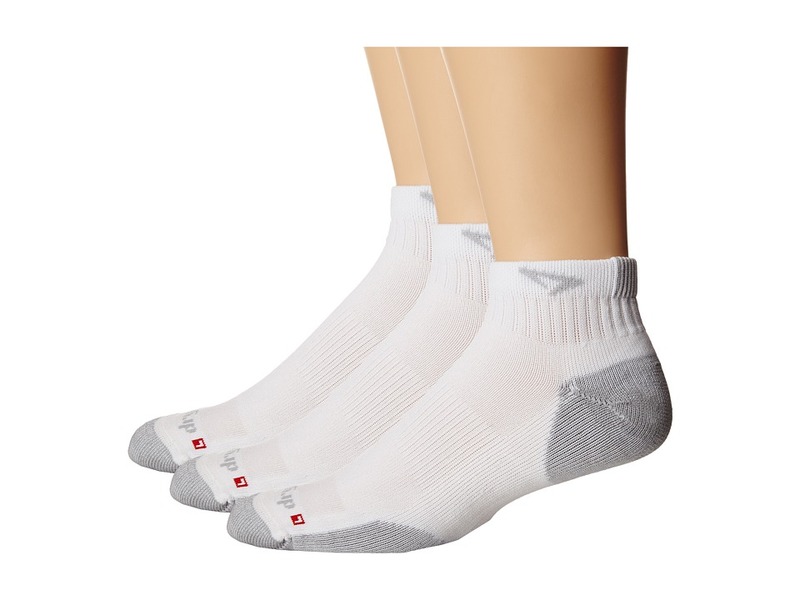 3-D Advanced Fit &amp#8211 Drymax~s 5 Sizes of socks fit because they were developed on Special 3-D foot Shaped Models. Anti-Blister System &amp#8211 Drymax Socks prevent blisters because they are seamlessly smooth and stay dry on the SKINside. Cooler feet in summer - Breathable Mesh creates air flow between the toes and top of the foot, helping feet stay cooler. Warmer feet in the winter - In cold weather, wet feet get cold much faster than dry feet, because sweat~s thermal capacity is 23 times greater than air. Drymax keeps feet dry so they stay warmer. Flat toe seam prevents blisters. Arch band holds sock in place. Size Mark for easy match-up after laundering. Made in the U.S.A. Foot Inner Layer: 100 percent Drymax Olefin. Foot Outer Layer: 94 percent Sensura polyester, 6 percent Lycra Spandex. Leg: 54 percent Sensura polyester, 32 percent Lycra Spandex, 14 percent Nylon.